Step 1. 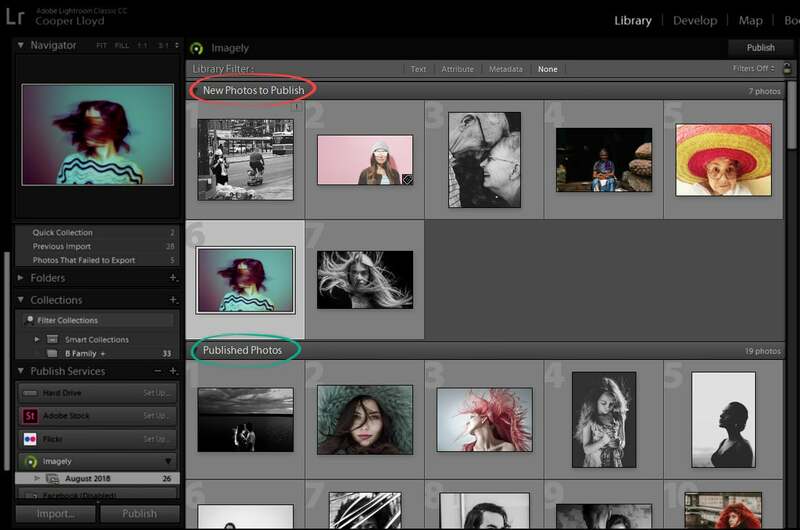 To create a gallery or album in NextGEN Gallery through the Imagely Lightroom plugin, right-click on the newly created Publish Service. 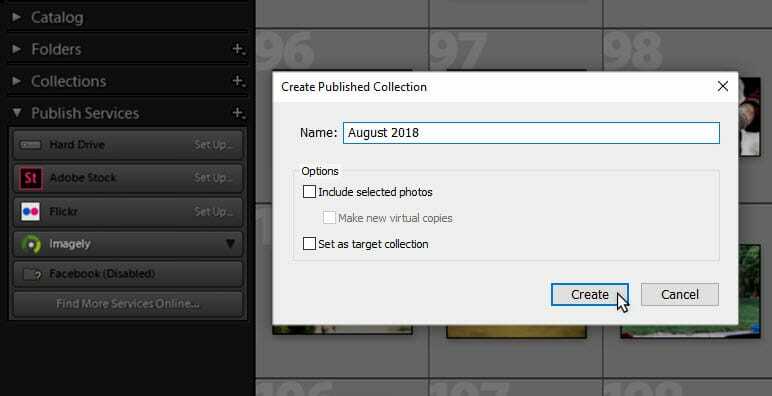 In the context menu, choose either Collection or Collection Set. Collection Sets correlate to NextGEN Albums. Title your collection. This title will become the title of your gallery when it's published to your site. Step 2. 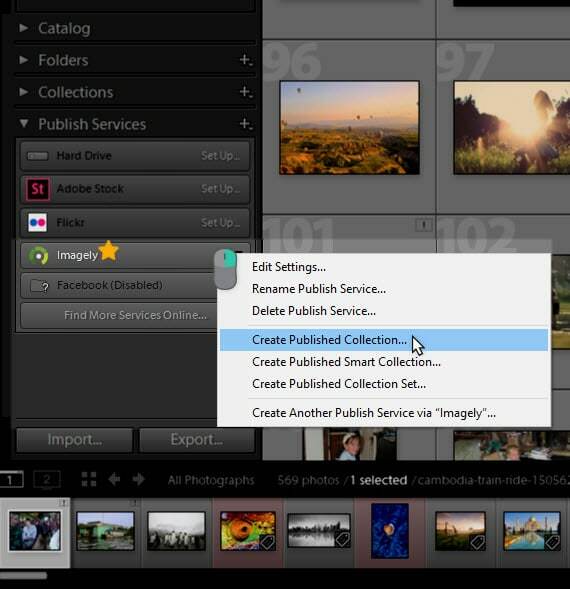 Select all the images you wish to include in your new collection, and drag and drop them into the collection folder. 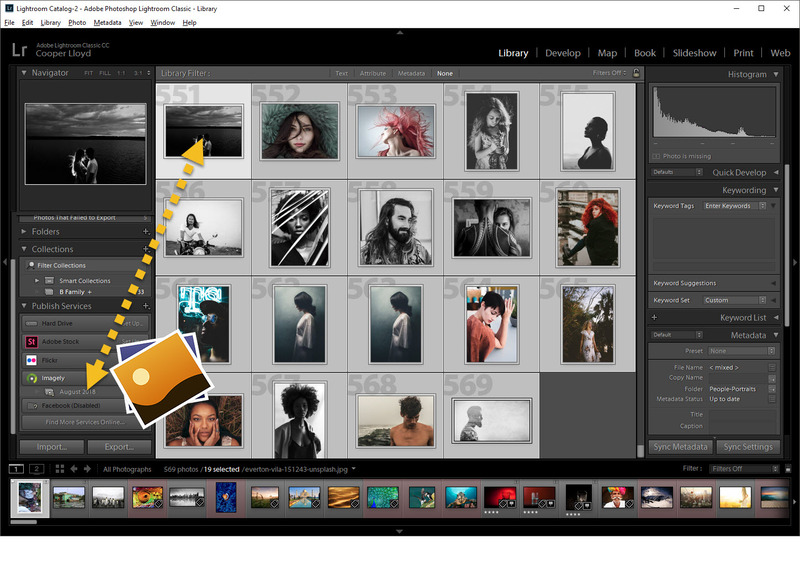 Once you drop images inside of your new collection, click on the 'Publish' button at the top right of the collection. Step 3. 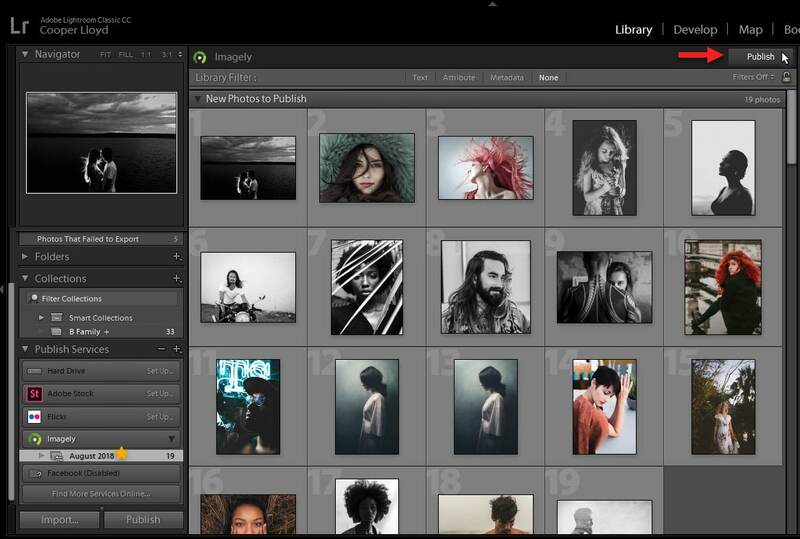 Published images will be marked as Published, however if you add new photos there will be separation between images.